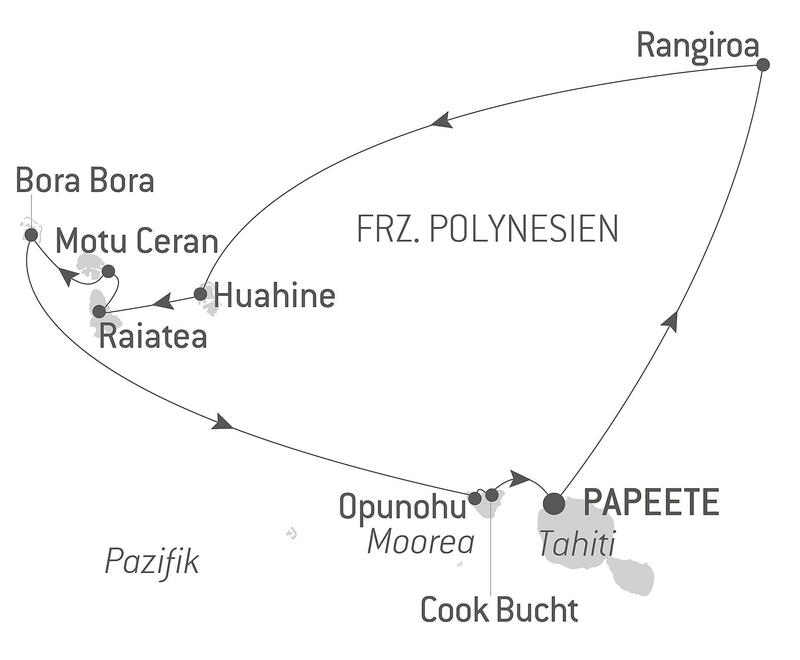 Aboard Le Boréal, set sail to discover French Polynesia, considered one of the most beautiful places in the world. From Tahiti, PONANT invites you to embark on a 10-day cruise to the heart of idyllic islands and atolls hemmed by stunning clear-water lagoons and surrounded by an exceptional coral reef. Before disembarking in Papeete, feast your eyes on the incomparable beauty of Cook's Bay, the pineapple fields clinging to its hillsides, and its lush peaks that dominate the island of Moorea.